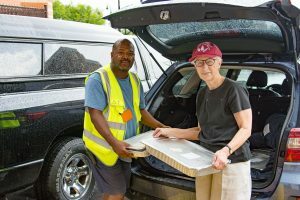 The CFR network is made up of licensed food businesses, food assistance organizations, and volunteer food runners who play a critical role in feeding more people who experience hunger, while reducing waste in Montgomery County, Maryland. D indicates food donor and R indicates recipient organization. Some organizations participate as both!